The Great Dismal Swamp National Wildlife Refuge is famous for its nature and history – you could even say it puts the “Great” in Chesapeake’s “Great Outdoors.” Now, there’s a new reason to check out this area that was once traversed by George Washington and was a pivotal spot on the Underground Railroad: the brand new Black Bear Trail. Black Bear Trail is carved out of a formally closed off section of the swamp that has undergone improvements to its infrastructure, drainage systems and entrance road. 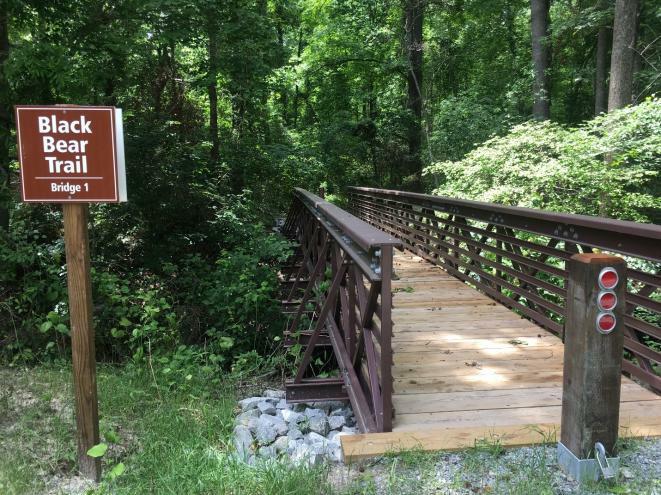 It’s a mile long and has two footbridges making it the perfect place for a brisk hike or bike ride. “There are a lot of black bears over there!” jokes Deloras Freeman, the Great Dismal Swamp National Wildlife Refuge&apos;s Visitor Services Manager. 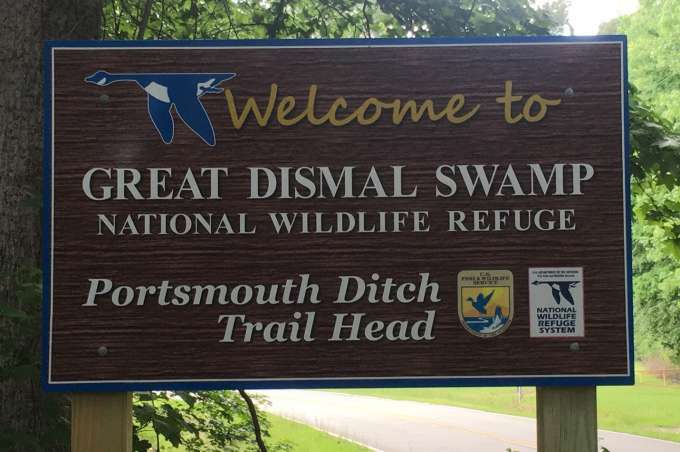 The area is obviously safe for a trek, but Deloras adds that part of what attracts visitors to Black Bear Trail, and the Refuge in general, is how abundant the wilderness is while still being in the middle of everything Chesapeake has to offer. Black Bear Trail is particularly good for birding – and while some of the migratory birds have moved on for the summer, now is the perfect time to go out and spot baby hatchlings. To find the Black Bear Trail go to the Portsmouth Ditch Trail Head at 3457 Martin Johnson Road. About a mile into the refuge, you&apos;ll see a big kiosk directing you to Black Bear Trail. Hiking is a great way to be active with the people you care about, or to get out on your own and lose yourself in nature. And with more enhancements planned over the next few months, Chesapeake is the place to hit the trails. Let the moments begin. Carol is a local who works in marketing, has two grown step-kids, a husband and one rescue German Shepherd. She enjoys new experiences, bargain hunting, and finding restaurants that suit the diverse tastes of her entire family. Carol likes to blog about activities that anyone could do especially on a budget and with limited talents. Basically, if it can be done in comfortable clothes – she’s game.